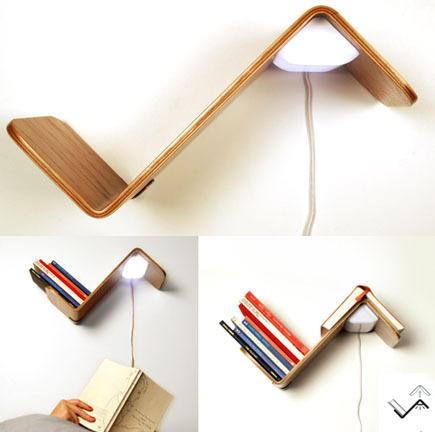 It's always lovely to rediscover that people can still come up with seemingly obvious, practical, simple and attractive design solutions - such as the Lili Light, a cute bentwood bookshelf, reading light and bookmark all in one. When you place an open book on the self, the light turns off, when you pick it up it turns back on! Available for 99 € at the Lili Light website.